Do you know you're entitled to certain protections as an airline passenger? Learn more about airline passengers' bill of rights to prepare for the unexpected. Whether you’re a frequent flyer or you only get on an airplane once in a blue moon, you should be aware of all that you’re entitled to as an airline passenger. Knowing your airline passenger bill of rights will help you feel more at ease when something unexpected occurs at the airport or on the airplane. These basic airline passenger rights, or “fly rights,” cover areas such as ticket pricing, baggage issues, tickets and delayed and canceled flights. They’re enforced by the Department of Transportation. Get to know them and keep the knowledge handy for the next time you travel by air. When you pay for a flight ticket, you should know the full cost of the ticket – including government taxes and fees – as part of the DOT’s full fare advertising rule. You also have a right to know about all fees pertaining to baggage, meals, reservation changes or cancellations and advanced or upgraded seating before your flight. As part of the airline passenger bill of rights, airlines must let you change or cancel your reservation within 24 hours of booking without charging a fee. But be sure to read the fine print. A non-refundable ticket could become refundable if the airline is the direct reason for your cancellation, such a nonstop flight being converted into a connecting flight. There are no federal requirements for compensation regarding delayed or canceled flights. So be sure to check your airline’s policies – listed under “contracts of carriage” – to see what you’re entitled to when your flight is delayed, such as meal vouchers or free hotel accommodations for overnight delays. If you’re stuck on the tarmac during the delay, airlines must give passengers food and water no more than two hours after the delay begins and keep the bathrooms operational. They must also let passengers off the aircraft within three hours for domestic flights and four hours for international flights, provided that there are no safety, security or airport operations repercussions. Keep in mind, though, that if you get off the plane during a tarmac delay, the airline doesn’t have to let you back on or take your luggage off the plane. If you volunteered to give up your seat on an overbooked flight, you’re entitled to rewards such as vouchers for future travel, a hotel stay or even cash. Be sure to communicate with the airline for specific rewards. But say you were involuntarily bumped from your flight. You have the right to ask the airline to explain your rights in a written document, detailing how the airline decides who does or doesn’t get to stay on the flight. Your ticket may be used on another flight or you can request an involuntary refund for it. You are also entitled to compensation (although there are exceptions). Bumped passengers can get as much as double the price of their tickets. Airlines are required to pay passengers for loss of, damage to or delay in receiving their baggage. Additionally, if a bag is lost, airlines are required to refund any fee associated with it from all segments of the trip to the passenger. 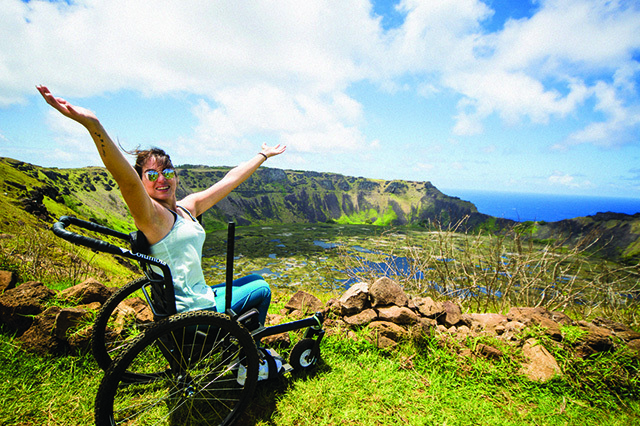 If you have a disability, you generally don’t need to notify the airline ahead of time. But if the airline needs to make certain accommodations, you may be required to give a notice 48 hours before your flight. Additionally, you may employ an off-duty crew member or a volunteer as your attendant for the duration. Each airline has different rules about pets, so be sure to check with each airline about procedures and policies. In general, however, pets must be kept in carriers for the duration of the flight. The rules also vary, depending on what type of pet it is. If you’re bringing an emotional support animal, you must bring documentation within the last year from a certified mental health physician that certifies your need. You must also be aware of which animals are allowed on board, as this varies from airline to airline. Standard pet-related regulations and restrictions apply. Therapy animals are defined as pets that have been trained and registered by a therapy organization and are not considered service animals. U.S. airlines cannot limit the number of service animals in the cabin and are required to allow passengers to keep them on their person. Additionally, service animals do not require health certificates to travel. But if the animal poses a safety or health risk or disrupts others, the airline can take appropriate measures to deal with the situation. You have the right to file a complaint with the airline and the DOT. Complaints should be made after the flight has ended unless the they relate to emergency situations. What is your advice for airline passengers? Let us know in the comments! 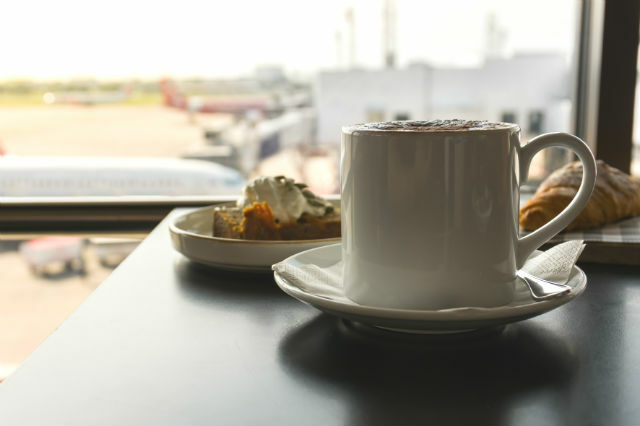 Click here for tips on how to make the most out of your airport and flight experience. Article tags: airlines, domestic flights, flights, food, health, rewards, safety, travel, trip. I’m a retired airline pilot. Interesting article. I often wish someone would explain some of the pictures from the “front office” point of view – for example, if a passenger demands to get off after a three-hour delay, when we’re number one or two in line for takeoff, then the entire plane full of passengers will not only go back to the gate, which could take almost as long as it took to get to the runway, but if the flight then continues, all of the other passengers will be back at the end of that three-hour line, which could now be a four-hour line, or the airport could have been closed. I use to point out that, yes, in bad weather, for example, we may be several hours late, but we’ve come a long way from the wagon trains that we’d have been taking not so long ago. We don’t yet have magic carpets. 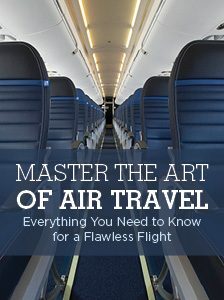 As much as I might become annoyed when I fly as a passenger, I know what it takes to make a trip happen, so I’m also appreciative for what often seems to me as the miracle of modern air transportation – and I bring a book and expect that Mother Nature or some other “glitch” might happen. I also know that, if I, as a pilot, don’t want to go, then passengers don’t want to go, because I want to get home, too – safely. As for convenience, sometimes there’s nothing a pilot can do. If there are no open gates, we can’t manufacture them. If someone doesn’t show up for an international flight but their bag is onboard, the bag has to be found and removed. I’m glad. I like safety even at the expense of time. There are so many situations that non-airline workers don’t know about. The manuals covering just part of the information are enormous. In 36 years of airline flying, I never experienced a situation where passengers were inconvenienced when there was an alternative better for the majority, or when the pilots didn’t do everything possible to prevent or minimize the problems. That’s how pilots are – every one I’ve ever worked with – nit-picking, dedicated folks determined to do their best, whether or not they get paid for it or patted on the back or appreciated. I have seen media stories of situations where some crew member has done something questionable, but if airlines paid for the same level of expertise and training in the cabin as in the cockpit, the prices of tickets would have to increase dramatically. One thing is true, however – we’re all up there, so we’re all highly motivated to do the right thing. Thanks so much for your point of view. Rarely do we – as travelers – think about what it might be like for the pilots, flight crew members, gate and ticket agents, baggage handlers, air traffic controllers, etc. etc., who are all trying to get everyone to their destinations safely and on time. I found your comments very informative. I would never ask to get off of a flight, but for those who would, your explanation of how it would impact the entire fight was eye opening to say the least. Appreciate your perspective.